OpenExpo Europe is the largest European B2B event on the latest Open Source & Free Software and Open World Economy innovations (Open Data and Open Innovation) applied to all sectors of the economy. It brings together experts in the field of innovation, with an approach focused on corporations, offering a broad overview of changes in the IT industry, whilst providing and facilitating the exchange of knowledge and global experiences, fostering the business development focused on all aspects such as Open Source, Open Technologies, IOT, Artificial Intelligence, Machine Learning, IP Network, Smart Data, Cloud, Cybersecurity, DevOps, among others. OpenExpo Europe continues to evolve year after year offering companies the most up-to-date information on business transformation, delving into the keys to successfully address the digitalisation of companies, industry trends and the latest innovations, being the key for companies to keep competitive. The large exhibition offer and the attractive content of the conference make OpenExpo Europe a unique combination looked for all types of companies, regardless of their size or sector, thus capturing a large number of visitors, with an increase of more than 60% in the last 5 editions. 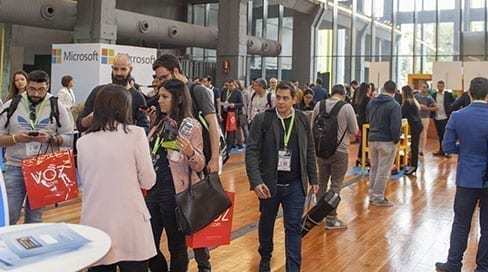 More than 500 companies come together in the same space and in just 1 day they show their novelties, their technological solutions and the latest trends. FOR WHOM IS OPENEXPO EUROPE? 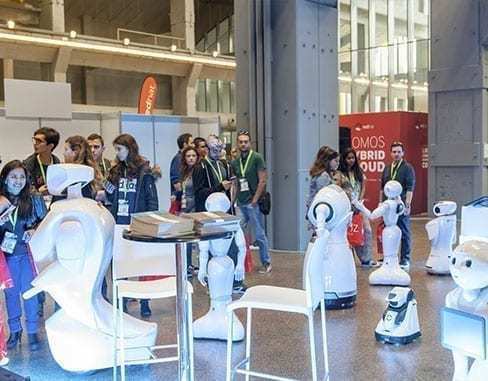 OpenExpo Europe is the meeting point for professionals, communities, entrepreneurial ecosystem and companies to find solutions, expand their network of contacts, learn about technologies, share knowledge, discuss trends, understand the market and generate business opportunities. All OpenExpo Europe activities are aimed at business leaders and technology teams of companies of all sizes in the IT sectors in industries such as retail, health, chemical and pharmaceutical, food, automotive, aeronautics, government and public sector, telecommunications, fintech / financial services, education, agriculture, construction, defense, transport, tourism, among others. 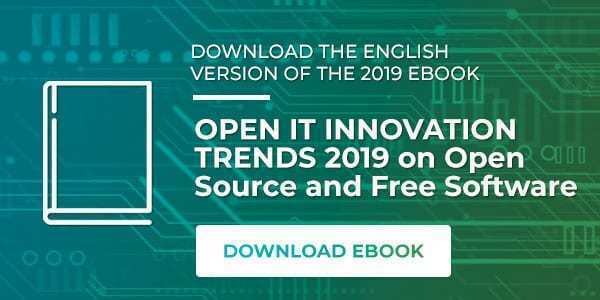 This event is key for those interested in learning about the IT world on the latest innovations in Open Source solutions, Open Technologies, Cybersecurity, Blockchain, IoT, Machine Learning, Artificial Intelligence, IOT, Smart Cities, Cloud and many others. OpenExpo Europe is the meeting point of the sector where the companies widen up their networks and promote their service solutions. The main suppliers of the industry will showcase their tech solutions to every type of company, upon 3500 professionals in one single day. 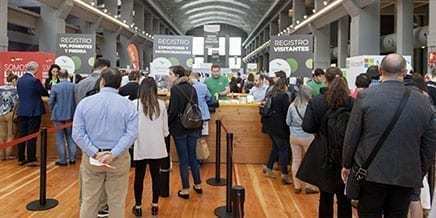 +500 companies represented in the last edition, 3500 attendants from over 15 countries, over 250 hours of quality content: success stories, presentations, round tables, workshops, demos, training demos, etc. It is a unique opportunity to get informed and learn about the latest trends in TI.